We serve throughout Northern Illinois! 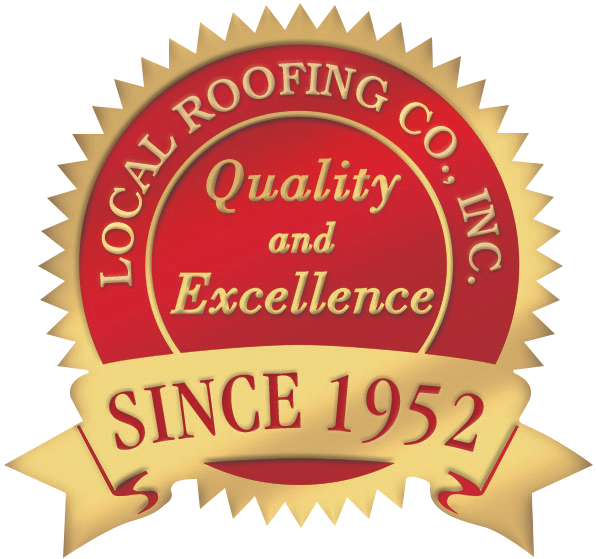 Whether your needs are for new construction, re-roof, roof replacement or roof repairs, you can count on Local Roofing Co., Inc. for competitive pricing, quality materials, professional craftsmanship and unmatched warranties. Don’t take a chance. 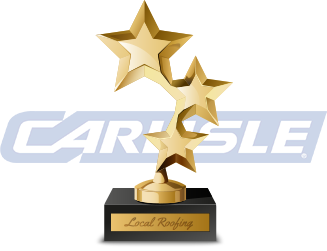 Hire the Professionals at Local Roofing Co., Inc.! 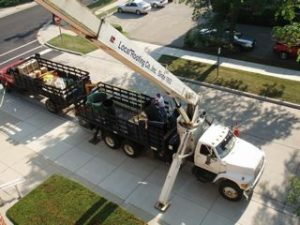 Local Roofing Co., Inc. has a professional ongoing Safety Program in place for all its employees. We are consistently updating our safety training of our employees including OSHA 10 hour certification of our 10 foremen. This is reflected in our excellent workers compensation, experience rating. Before a roofing project starts, we will meet with the owners representative to conduct a pre-job meeting. In this meeting we will discuss scheduling, OSHA safety requirements and job-site set-up. Job site audits conducted by: Bob W, Wasick, ARM Director of Risk Management. Copies of safety program and audits available upon request. 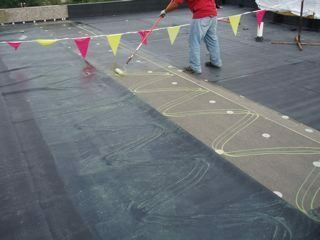 Thermoplastic roof membranes are materials whose chemical and physical property characteristics allow them to repeatedly soften when heated, and harden when cooled. Because of this chemical nature, thermoplastic membrane sheets are seamed with hot air welding. Two common categories of thermoplastic membrane are Thermoplastic Olefin (TPO) and Polyvinyl Chloride (PVC). The membrane is usually produced as a reinforced, white sheet ranging in thickness from 45 to 80 mils. (thousandths of an inch). Optional colors can be selected and warranties can be offered up to 20 years. 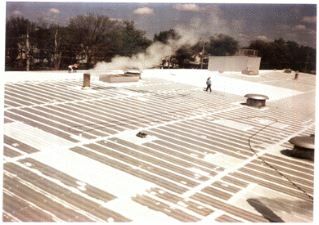 Installation of thermoplastic membrane commercial roof systems are commonly either fully-adhered, rock ballasted or mechanically attached. 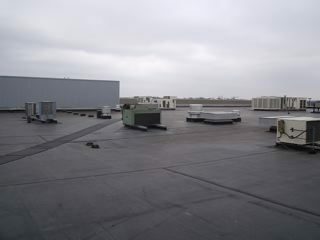 EPDM commercial roofing systems are comprised of ethylene propylene diene terpolymer-a synthetic, cured, black rubber compound that provides outstanding weathering characteristics. 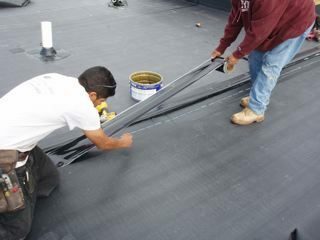 As a thermo set membrane that recaptures its shape after stretching, EPDM maintains its physical properties for decades. EPDM is manufactured in large sheets varying in width from 10 to 50 feet and features lengths up to 200 feet. 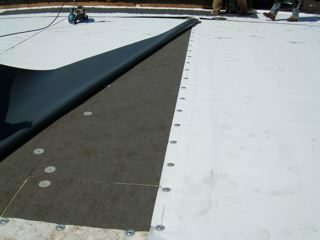 The membrane can be reinforced and comes in thicknesses of 45, 60, 75 and 90 mils. (thousandths of an inch). 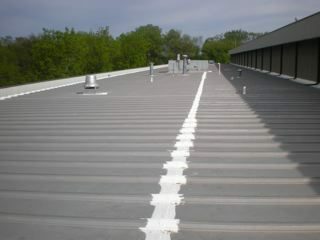 Commercial roofing projects can use a variety of roofing materials. 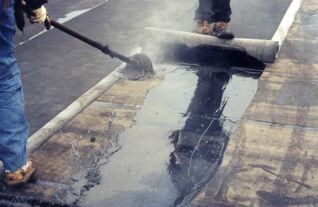 Built-up roof (BUR) membranes are composed of layers of asphalt bitumen which serve as the waterproofing component of the membrane. 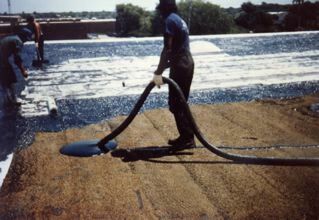 Bituminous membranes are installed by roofing contractors in multiple-ply configurations. 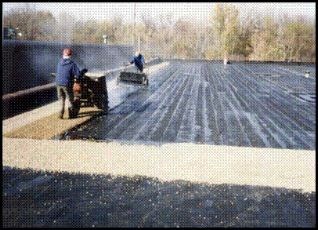 Three to six layers of bitumen are applied between layers (piles) of reinforcement, fiberglass ply sheets are used to compose the “built-up” membrane. 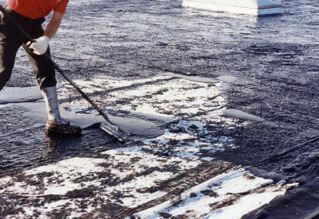 The built-up roofing membrane surface is commonly covered with a layer of gravel set in a flood coat of bitumen or an approved coating. Warranties can be offered up to 20 years. Built-up roofing is the oldest, proven roofing system used today. There are two general types of polymer modified bitumen membrane systems, atactic polypropylene (APP) and styrene butadiene styrene (SBS). These polymer modified membranes differ in chemical characteristics. Both modified bitumen membrane types are thick, heavyweight membranes, reinforced with either polyester, fiberglass or a combination of both. 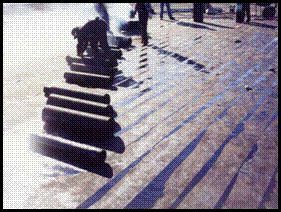 Modified bitumen membranes commonly come with a factory applied mineral, granule surface or an approved coating which is applied after the product is installed. 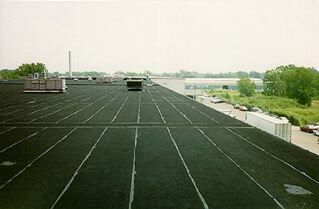 Modified bitumen roofing systems offer the redundancy of built-up roofing with the added strength, flexibility and UV resistance of a modified bitumen membrane. 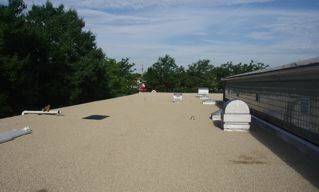 Roofs do not “wear out” they “dry out”. Local Roofing Co., Inc.’s systems combine asbestos-free coatings and polyester membranes to give you a high performance roofing system. 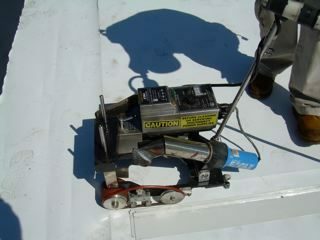 The restoration system is designed to extend the service life of built-up roof system. There are various roofing systems in the marketplace today. 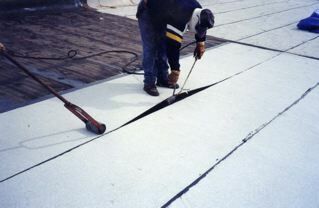 The Internal Revenue Service considers some systems to be capital expenditures in nature and other systems (such as Local Roofing Company’s roof restoration systems) are considered a maintenance expense. With a maintenance expense, 100% of the cost can be deducted from the current year’s income. The tax savings can be considerable utilizing the maintenance system. 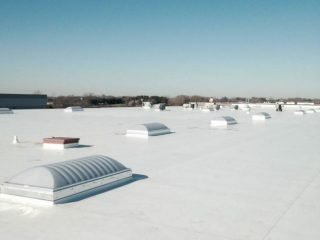 With all the commercial roof replacement and repair options in the market today, coatings are a cost effective and efficient option to extend and improve the life of your existing or new roof. 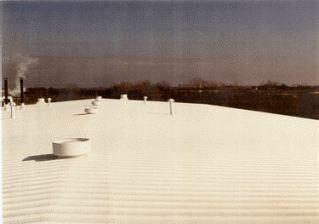 There are many options which can be used on a variety of roof systems. 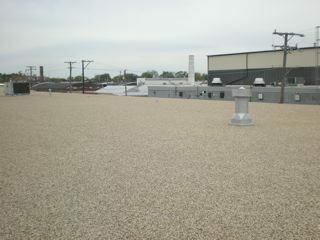 There are many manufacturers in the commercial roofing market that claim to be able to solve most roof issues. 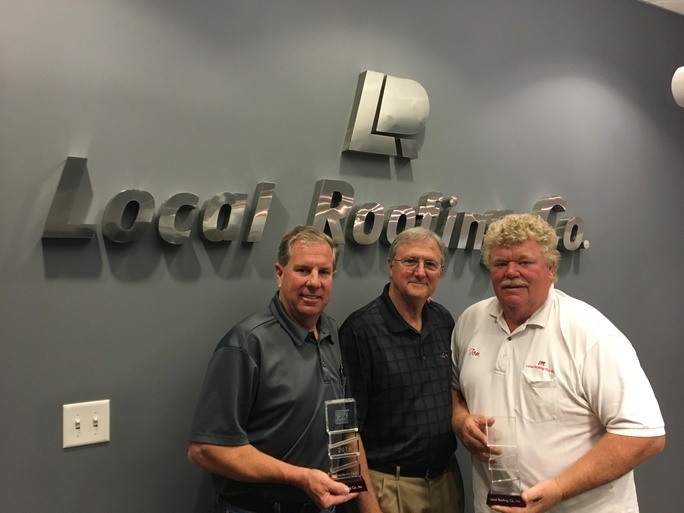 Over time, Local Roofing Co. has tested many applications and is knowledgeable with high quality products and applications best suited to your commercial roof repair needs. Inexpensive cost of extending your roof with up to a 10+ year warranty. Reflectivity and Energy Star ratings. 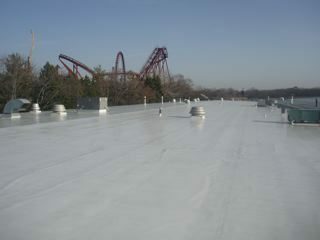 Non-invasive or penetrating roof system and quick application.